To get the salary you want, you need to lay the groundwork long before you arrive at the negotiation table. Here's a step-by-step guide. 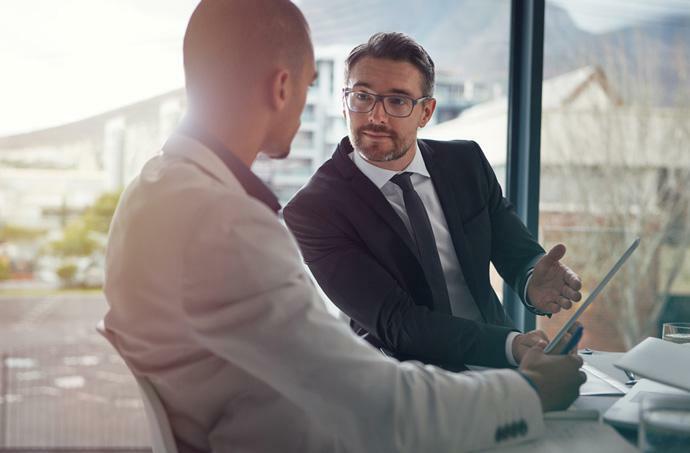 Here's a secret: Employers rarely make their best offer first, and job candidates who negotiate generally earn much more than those who don't. And a well-thought-out negotiation makes you look like a stronger candidate—and employee. "We found that those people who attempted to negotiate their salary in a constructive way are perceived as more favorable than those who didn't negotiate at all, because they were demonstrating the skills the company wanted to hire them for," says Robin Pinkley, coauthor of Get Paid What You're Worth and an associate professor of strategy and entrepreneurship at Southern Methodist University's Cox School of Business. Do Your Research: Before the interview, learn about the company's salary ranges and benefits as well as industry salary ranges. Also learn about the company, its competition and the industry. Then think about what you want from the job, both in terms of salary and benefits, as well as opportunity and upward mobility, Pinkley says. This information will become valuable during the interview and salary negotiation. Don't Talk Turkey Too Early: "You never win by talking about money early on," says Lee Miller, author of Up: Influence, Power and the U Perspective -- The Art of Getting What You Want. "The time to talk about money is when they've fallen in love with you." Before that, you're just one of many easily dismissed candidates. But once the employer has decided you're right for the job, "it becomes an issue of, ‘how are we going to make this happen?'" Miller says. Avoid the Salary Requirements Trap: Pinkley tells people to say: "I completely understand why this is an important issue—you're trying to determine who you want to continue in this process, and it doesn't make much sense to pursue candidates you aren't going to get. Secondly, I know that the tendency is for people to lowball their salary range, because they don't want to get out of the pool. My preference is to figure out, independent of these issues, the degree to which there is a good fit here and the extent to which I can bring value to this organization and the extent to which I'm going to be fulfilled and involved and committed to this position. I suggest we wait to have the salary conversation until you're prepared to make an offer." If they still want a number, leverage your research to talk industry-standard ranges, not specific numbers. Strike First: Try to mention a specific salary before the employer does. This will start the negotiations in your ballpark. "The whole negotiation is based on that first offer," Pinkley says. Don't Commit Too Quickly: The employer often offers the job and salary simultaneously. Never say yes right away—even if you like the offer. "I would always come back and try to get more," Pinkley says. Tell them you'll give them an answer within a certain time frame. Make Them Jealous: If you've been interviewing for other jobs, call those prospective employers, tell them about your offer, and see if they can speed up the interview process—or make you an offer. Knowing you have another offer will make you more attractive to them. When it's time to answer the first employer, mention the other employers' interest to help boost your value. But don't make up offers. It's easy to check, and the interest alone will help you look good. Articulate Your Expectations: Tell the employer what you want from the job, in terms of salary, benefits and opportunity. "It may be time off, flexibility about where you work, autonomy or ownership over a particular area, it may be your title—whatever has a perceived value to you," says Joyce Gioia, president of the Herman Group, a think tank of management consultants and futurists. Negotiate Extras: If the employer can't offer you the salary you want, think about other valuable options that might not cost as much. Miller always recommends asking for education, which can make a big difference in your long-term marketability. Quantify Your Value and Performance: Mention your value in quantifiable terms, such as how much money you saved your company and how your projects increased revenues by X thousands of dollars, Gioia says. Then tell them specifically how valuable you expect to be in your new job. You also can add a few contingencies showing your confidence in your performance. You could ask the employer to give you a salary review after six months rather than a year or for a year-end bonus if you make a certain amount of money. "It shows that you believe in yourself and are committed to bringing what you say you can do," Pinkley says. "You believe you are going to bring significant value to the organization.